Sometimes, people don’t plan to do amazing things — they just happen. Take Nathalie Huerta, for instance. Nathalie Huerta didn’t move to Oakland with the intention of opening the only LGBTQ gym in the nation. Huerta, who studied Sports Medicine in college, left her job at a corporate gym and came to the Bay Area several years ago to begin the Masters of Business Administration (MBA) program at Mills College. While in the MBA program, Huerta began training a few people at Lake Merritt to pick up some extra cash. 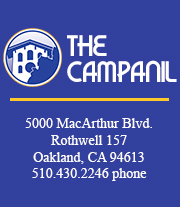 She got the idea to start an LGBTQ gym when she discovered that Oakland is one of the cities with the highest percentage of lesbian couples as well as LGBTQ families. She also found out that lesbians are more likely to smoke or become overweight. The Perfect Sidekick’s mission is to provide a safe space for members of the LGBTQ community in Oakland to live a healthy lifestyle. Over three years ago, the gym opened in a small former office in Jack London, but is now located in a 2,000 square feet. loft which they moved into last year. The gym stays away from the intimidation that people often feel in larger gyms. Instead, it’s a fun and playful atmosphere: the logo on the front door reads “The First and Only LGBTQ Gym in the Nation…You Know You’re Curious!” and if you walk inside, you might find one of the trainers wearing a shirt that says “Don’t you wish your girlfriend could squat like me!” The gym has offered classes called Beast Mode, H.T.F.U. (which stands for Hurry the F— Up), and The Gun Show (the word “gun” being slang for muscles). The classes are the basis of the gym. There are no big machines that require extensive instructions to use; The Perfect Sidekick believes on focusing on what you can do with your own body. Huerta shows off the playful nature of The Perfect Sidekick. The location is not the only thing that has changed. Since opening, Huerta has been working on building a solid staff team and developing a good company culture. She has become “picky” about who joins the team—one might say that she wants to make sure she has the perfect sidekicks. One of these perfect sidekicks is manager Jen Deering. Deering got involved in The Perfect Sidekick a year and a half ago, when she was going through a career transition and a friend suggested going into personal training. Deering had been a long-time athlete and had coached high school and college sports, so she decided to give it a try. The same friend also recommended The Perfect Sidekick, saying that it would be a great fit for her. After learning more about the gym, Deering agreed because it was close to her home, it was aimed at LGBTQ people, and it didn’t have the same intimidation as corporate gyms. 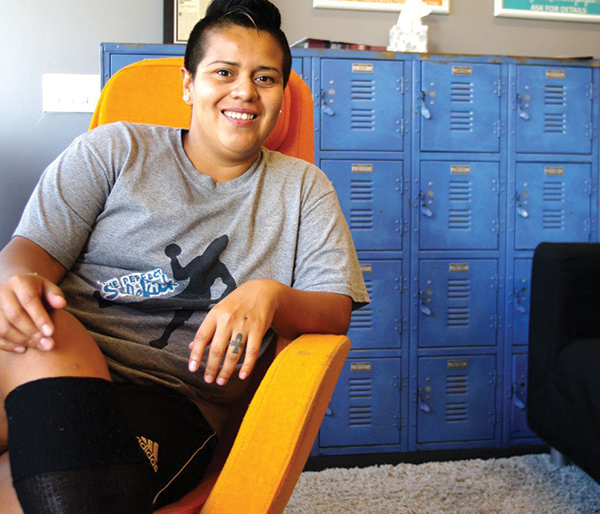 Deering had a few mutual friends with Huerta, and through a series of emails through these friends and community members—“Other lesbians,” Deering joked—they were able to set up an interview which eventually led to her job at The Perfect Sidekick. “I’m a super-open gay person so it worked out that a super-open gay gym would be a great place for me to be,” Deering said. In addition to the development of the team, another huge change has happened. When Huerta first started out at Lake Merritt, she trained five people. Now, the Perfect Sidekick has over 100 clients. Despite the growing number of clients, there is still a strong sense of community at the gym. Although Huerta feels that she is not as close to her clients as she once was, she still focuses on them as much as possible. She still tries to make herself accessible to clients and takes the time to ask them what they like or don’t like, or how she can better their experience. Erika Peterson, who has been going to The Perfect Sidekick since January, appreciates the way Huerta asks for feedback and values the relationship with clients. “I think part of what makes her so successful is that it’s not just a business about making money, it’s about making it work for everyone,” Peterson said. Peterson also stated that she knows Huerta pretty well and Huerta has even been over to her house for a barbecue. One might not find relationships like this at other gyms. Huerta mentioned a client who recently stopped coming to classes at the gym. Concerned that he was not meeting his goals, the team called him and discovered that he could no longer attend the gym due to financial troubles and schedule conflicts. Having learned more about his difficult situation, Huerta decided the right thing to do was sponsor him for a three-month membership and upgrade him to private training so he could fit it into his schedule. Huerta went on to explain that after this, a friend of the client contacted them and asked to anonymously make a donation for his friend’s membership, which inspired the team even more. According to Huerta, profit is not as important as doing the right thing and helping clients. Deering also values the relationship between the clients and the team at The Perfect Sidekick. Although Deering in unable to teach as many classes as she did before becoming manager, she still trains a group of core clients. “I enjoy giving back to them and pushing them in those ways, and seeing them get stronger,” Deering said. Deering said her clients refer to her as a “gentle pusher,” but also states that she has a silly and fun relationship with them. Peterson enjoys training with Deering because although Deering is quite fit, she is not as intimidating as trainers at other gyms. A good example of a changing image of strength is Huerta herself. A former athlete, Huerta gained 70 pounds after graduating college, which caused her self-esteem to plummet. Huerta went with the second option and dropped the weight in just six months. Her first-hand experience has allowed her to understand where her clients are coming from. She remembers what it’s like to lose confidence, to spend the weekend at home, and to feel “too fat” to date. She also remembers how uncomfortable it can be for queer people in gyms, which is why she wanted to create a safe space for LGBTQ people to meet their fitness goals and build a community. Huerta has seen a great deal of support from the community. Both she and Deering said that they have found the “perfect niche” for the business. The Perfect Sidekick team tries to reach out to the community when possible. Once a month, they host a free event called Pain and Champagne, where community members are invited to workout with the team and then enjoy a glass of champagne. The team hopes to continue community involvement in the future and provide sustainable jobs for people in the LGBTQ community. The team is also excited about the prospect of opening locations in other cities and hopes to do so in the future. In the meantime, they are focusing on honing in on what they do best: training. And, although Huerta, Deering, and the other team members take fitness seriously, they also have fun doing their job.